Why Choose Sydney PTE Institute? We do PTE Academic coaching only. And, we are Very Good at it! Sydney PTE Institute is Sydney’s Largest and Best PTE Academic Coaching Institute. We pride ourselves in helping our ever-growing student base get their Best PTE English test score at first-class centrally air conditioned Parramatta campus. Our professionally-designed curriculum is structured to help our students achieve the highest possible English Proficiency score, thereby enabling them to obtain their Australian residency and go on to pave strong and prosperous career pathways in Australia – for a Lifetime! Learn all 4 PTE Academic Modules: Reading, Listening, Writing and Speaking. No handouts. Get 2 professionally prepared PTE Learner Handbooks. 100% FREE! Measure your PTE growth with 3-hour mock test. Get complete scorecard for just $10. Fully equipped PTE Lab with practice tests, mock tests, & 500+ PTE exercises. 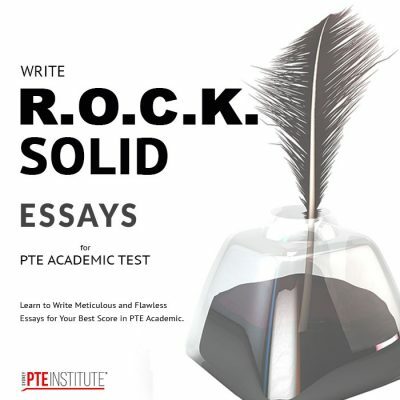 Get 30+ professionally written PTE Academic essays. Something for every score level. Choose from 2 central campuses at Parramatta and Liverpool CBDs. Minutes from train and bus. Become a PTE expert with 15 high quality practice tests in real PTE-like conditions. Join dozens of delighted and very happy students who've achieved their desired PTE scores! Become a PTE expert with 500+ PTE practice exercises in our fully equipped PTE labs. Equipped with Apple MacBook Air laptops loaded with 100s of PTE Drills, authentic Practice Tests + much more, our PTE computer lab is designed totally to cater to the most demanding of PTE students. We have incorporated highly modern features to enable a comfortable and enjoyable learning experience at our convenient Parramatta CBD campus. Featuring world-class technology and quiet study spaces, we’ve taken the necessary measures to ensure our students grab the opportunity to complete their PTE test coaching in Sydney with ease. Sydney PTE Institute is perhaps the only PTE coaching institute to offer its students a comprehensive FREE PTE Learner Manuals designed in-house by our team of passionate and highly experienced 79+ PTE score tutors! We promise our students a comprehensive and tailored learning experience led by a team of seasoned entrepreneurs and highly experienced tutors. Each of our tutors has acquired a minimum score of 79 in their own PTE exams. Collectively, our tutors and leadership boast more than 50 years of experience in training, coaching, business and consulting in Australia and overseas. Get Your Best PTE Score! We understand that each situation is unique. Which is why we want to ensure you receive high-quality PTE academic training in Sydney without adding stress to your current lifestyle. Furthermore, each student can attend as many morning, evening or Saturday classes for the entire duration of the course they choose. And, we do NOT charge any extra for evening or weekend classes! Sit Your PTE English Test in Sydney Today! Give yourself the best chance of securing your Australian visa by signing up with Sydney PTE Institute. For more information, please get in touch with our friendly team – call 02 9891 1241 or email askus@ptesydney.com.au. PTE and PTE Academic are Registered Trademarks of Pearson Inc.